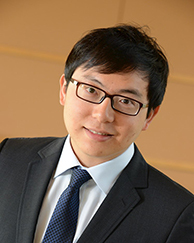 Xiu’s work has appeared in Econometrica, the Journal of Econometrics, the Journal of the American Statistical Association, the Annals of Statistics, the Journal of Business and Economic Statistics. He is an Associate Editor for the Journal of Econometrics and Statistica Sinica, and also referees for several journals in the fields of econometrics, statistics, and finance. He has received several recognitions for his research, including the 2018 AQR Insight Award, the 2017 fellow of the Journal of Econometrics, the 2017 Dennis J. Aigner Honorable Mention, and the Best Conference Paper Prize at the 2017 Annual Meeting of the European Finance Association. In 2017, Xiu launched a website that provides up-to-date realized volatilities of individual stocks, as well as equity, currency, and commodity futures. These daily volatilities are calculated from the intraday transactions and the methodologies are based on his research of high-frequency data.